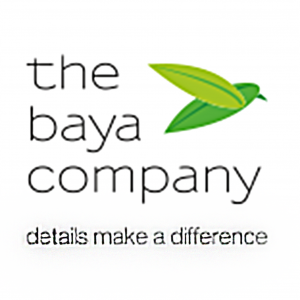 The Baya Company is a part of an integrated group that has real estate well nested in its DNA. As one of Mumbai’s premier new-generation real estate developers, we are home to a set of values, experience and culture that spans five decades. We are inspired by the Baya, a weaverbird that meticulously and skilfully builds weather-proof and predator-proof nests. Our visual identity is formed out of two fresh green leaves uniting to create the Baya bird. At The Baya Company, we understand that your home is probably the most important purchase you’ll ever make. Therefore, we build it with as much care as we’d build our own, to help you live a good life for years to come. Perhaps that’s why we are obsessed even with the minutest of details: the shade of paint, the placement of light switches to the longevity of waterproofing. At the same time, we also believe in providing lifelong value through thoughtful planning, maximisation of utility and minimisation of maintenance costs. All of this gets reflected in homes that help you enjoy a higher standard of living, without increasing your cost of living. Be a part of The Baya family and discover the little details that make a big difference.